Grounded in historical research and a strong sense of place, Kevin Jerome Everson’s films and videos combine documentary and scripted elements with a sparse, rugged formalism. 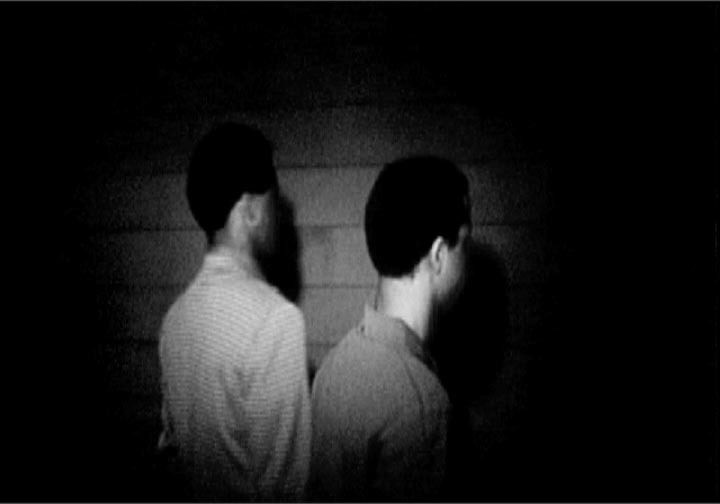 His ongoing subject matter is the lives of African Americans and other people of African descent, often working class, but he eschews standard realism in favor of strategies that abstract everyday actions and statements into theatrical gestures: archival footage is re-edited or re-staged, real people perform fictional scenarios based on their own lives, historical observations intermesh with contemporary narratives. His films suggest the relentlessness of everyday life—along with its beauty—but also present oblique metaphors for art-making. Many of his works return to Mansfield, Ohio, where Everson was born and raised. The community's past is examined in Company Line, in which city employee Curley Lanier explains why he and his family left Alabama in the late 1950s to migrate North: “To do better…I guess.” The remarks betray a sense of deep ambivalence about the promises of upward mobility in America that runs through this collection of recent projects; fifty years later, the people of Mansfield still aren’t sure what “better” means. Born in 1965, Everson now lives and works in Charlottesville, Virginia. Everson’s artwork and films has been exhibited at the Museum of Modern Art in New York; the Whitney Museum of American Art, the Cleveland Museum of Art, the Studio Museum in Harlem; the Armand Hammer Museum in Los Angeles; Whitechapel Gallery in London; the Palm Beach Institute of Contemporary Art; Wurttenbergischer Kunstverein, Stuttgart, Germany; the Spaces Gallery in Cleveland; the American Academy of Rome in Italy, the Sundance Film Festival, Rotterdam International Film Festival, Cinematexas, Ann Arbor Film Festival, New York Underground Film Festival, and many other venues worldwide. He is the recipient of a Guggenheim Fellowship, a NEA Fellowship, two NEH Fellowships, two Ohio Arts Council Fellowships, an American Academy Rome Prize, residencies at Yaddo and MacDowell Colony and numerous university fellowships.